I found this awesome pic on the web, taken in 1957, showing Watson playing with models, which he described in his book “The Double Helix“1, as instrumental for the proposal of the structure of DNA (along with X-ray pictures, Chargaff’s rules and other pieces of data). 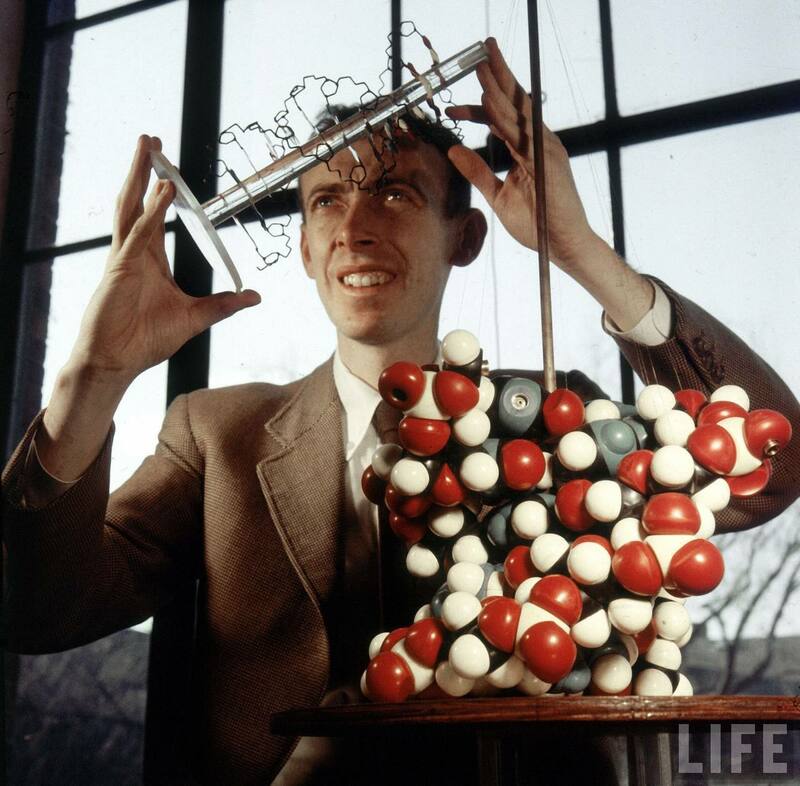 He always thought models could provide important info for tackling the problem of the structure of DNA. 1 Get it. It’s a great book. This entry was posted on August 14, 2011, 16:06 and is filed under Research, science. You can follow any responses to this entry through RSS 2.0. You can leave a response, or trackback from your own site.